Updates are the means through which new content is added to the game. Information about the current update can always be found by pressing the button in the top right corner of the game to access the Options Menu, then pressing the button and choosing the option. The Trainer will then be presented with a series of informative panels, each having the option that, when pressed, will take the Trainer to that respective feature in the game. On rare occasions, after an update occurs, the content might not fully download. 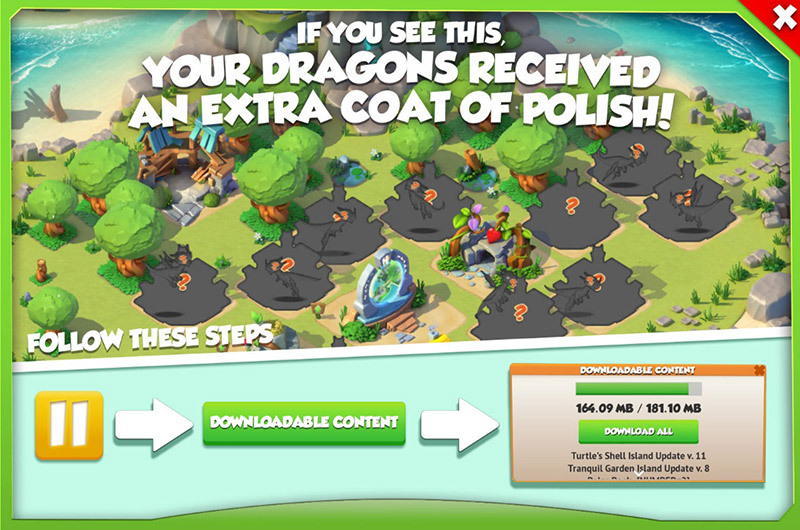 To finish downloading the remaining content, the Trainer will have to access the main menu again, then go to the bottom and choose the button and then the button. If this last button is grayed out, it means the entire remaining content is fully downloaded. 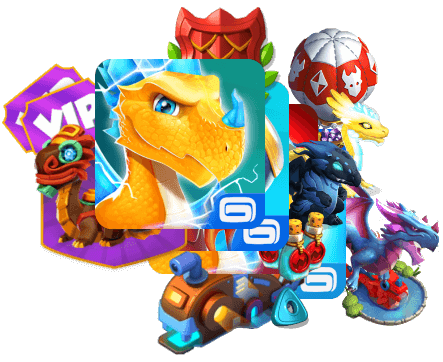 During the regular running of the game, Gameloft may present news announcing future updates of the game, new content being introduced, or other types of events and activities. These will be shown under the menu after pressing pause. Whenever a new announcement is available a small exclamation mark will be shown on the button. The game is officially supported and tested on the Android, iOS and Windows operating systems where updates are also officially available. Additionally, the game is also officially supported on the Android-based Fire OS platform. However, it is possible for the game to run on other operating systems or even various emulators, but with no guarantee that it will work properly or that updates will always be available for downloading. Another Apple-related operating system, tvOS, was officially supported and received regular updates between Update 1.8 and Update 2.1, although updates have since ceased while the game is still available for playing on that system. Additionally, at some point, support was also available for Cafe Bazaar and Gameloft's Shop, but has since been discontinued.